Meanwhile, USAID has drawn up a two year program through its Office of Transition Initiatives (OTI) under the USAID Sri Lanka Mission’s special objective in support of the peace process with two main aims- to enhance the stakeholder support for a negotiated settlement, and to assist targeted vulnerable communities. The program will pursue these aims through initiating community self-help activities, including the rehabilitation of small-scale infrastructure improving livelihoods and providing skills training, encouraging inter-ethnic and inter-religious co-operation within communities and supporting increased access to balanced information, and peace related dialogue and advocacy, according to a release by the USAID-OTI. 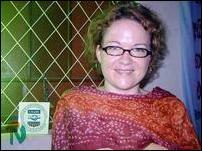 The Regional Program Manager of the USAID-OTI is Ms Brenda Barrett. The USAID-OTI release said, "Requests for funding should indicate how a planned activity contributes to OTI’s overall mandate to support the peace process in Sri Lanka. Small grants will be disbursed mainly to local partners for activities that fall within the outlines of general activity areas. "OTI programs in other countries such as East Timor, Kosovo, and Peru have been successful in encouraging basic participatory practices as the grassroots level while helping communities to address infrastructure needs. In Sri Lanka, self-help, using a community-based approach, will be emphasized. Grantees must insure that their programs will be non-partisan, and that beneficiaries of their activities are chosen fairly and without discrimination." USAID established the Office of Transition Initiatives (OTI) in 1994 to provide rapid, flexible political transition assistance for projects in nations undergoing periods of change. OTI works to provide short-term assistance targeted at key transition needs. It serves as a “rapid deployment “ agent addressing transitional issues between relief and development that cannot be immediately funded by other USAID mechanisms. OTI primarily helps local institutions-such as NGOs, student groups, the media and civic organizations-to advance peaceful political change. OTI currently has short-term programs in Afghanistan, Sudan, Angola, Burundi, and Venezuela, the USAID-OTI release said.